Below is my article this weekend in Al Jazaerra on the powerful lobby and industry supporting our various conflicts abroad as well as counterterrorism efforts. I previously testified before Congress on this industry and the government’s inflation of counterterrorism numbers to justify huge domestic budgets at the Justice Department FBI, and other agencies. I wrote the article for the anniversary this month of Eisenhower’s famous Military-Industrial Complex speech. 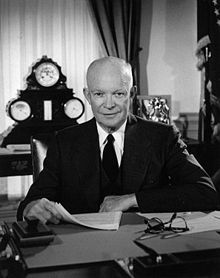 Eisenhower warned that “an immense military establishment and a large arms industry” had emerged as a hidden force in US politics and that Americans “must not fail to comprehend its grave implications”. The speech may have been Eisenhower’s most courageous and prophetic moment. Fifty years and some later, Americans find themselves in what seems like perpetual war. No sooner do we draw down on operations in Iraq than leaders demand an intervention in Libya or Syria or Iran. 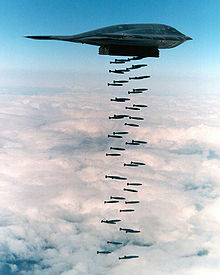 While perpetual war constitutes perpetual losses for families, and ever expanding budgets, it also represents perpetual profits for a new and larger complex of business and government interests. Pingback: Perpetual War And America’s Military-Industrial Complex 50 Years After Eisenhower’s Farewell Address | Finding Trout In Your Milk? much of the present day US military supremacy & war preparedness could be justified as a response for the Islam terrorism. What % of this could be justified is again a matter of judgement. any guess as to how much is sufficient and how much is excessive? Ranapriya – As Ron Paul and many others have pointed out, meddling in the affairs of Arab nations is a plausible reason for Islamic terrorism and the British and Americans have been doing so for over 100 years. Nation building is not part of our Constitution, yet our fearless leaders use our military and the military industrial complex, to the detriment of our nation, both in lives and money. War is a racket and a monetary scheme 99% of the time. Needing a defense system that costs more than the top 7 countries in the world combined and that abrogates our Constitution, is a bit excessive. It’s a bit worse than the Nation article states. According to a June 3, 2013 Army Times article there are over 60,000 troops performing 5,640 “activities” (the Army’s choice of word) in 162 countries “throughout” fiscal year 2014.